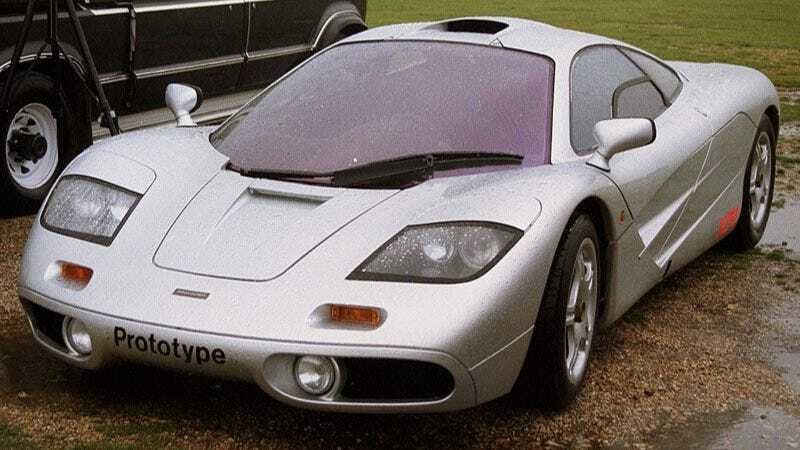 When it was new, the McLaren F1 would regularly sell for more than $1 million, making it one of the most expensive cars in the world. And since there were a mere 65 built for the roads, that value would obviously increase over time. But now one has sold for a record setting $5.5 million. Jiminy jilickers! The McLaren in question was sold by 29-year old Tom Hartley, a man that has been involved in the seedy underbelly of auto sales since he was 11-years old. He has sold hundreds of cars over the last 18 years, but considers the McLaren F1 his personal favorite. McLarens go for a lot of money, but this sort of price is unprecedented. The previous record price was for an incredibly low mileage example that sold at auction for $4.1 million in 2008. Seems the market for these cars has really exploded. At the $5.5 million price tag, expect to see this car on the roads precisely never. Oh well, we still have Rowan.